Legendary Beach Boys vocalist and songwriter Brian Wilson is touring this fall behind the Christmas version of his live show (“The Christmas Album Live”) to the Horseshoe Casino, November 30th, bringing along Beach Boy sidekick Al Jardine to join in on his holiday performance. 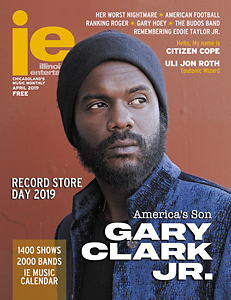 IE’s Andy Argyrakis spoke to Wilson last week, and though he’s a man of few words in his interview, it was a thrill to have a living legend and Rock and Roll Hall of Fame member on the other end of the phone line. Illinois Entertainer: You are no stranger to town since you lived in Illinois for a while in the 1990s. What brought you to town back when you lived here? 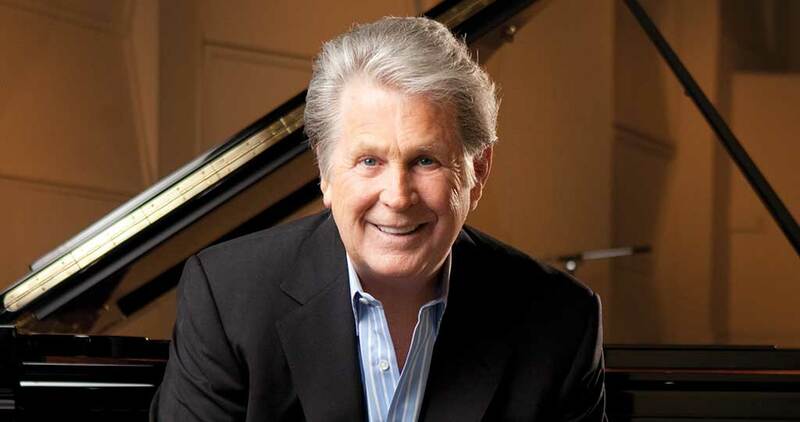 Brian Wilson: Well, we wanted to build a recording studio. IE: And how did it go? IE: What do you remember most about living here? IE: You were in St. Charles, right? IE: What do you like to do when you come back to town? IE: Well next time you’re actually going to be performing a Christmas show. What brought on this idea? BW: I always wanted to entertain people. IE: What do you and your family like to do around Christmas? How do you celebrate? BW: Hang around. Just be happy. IE: What is your message to fans around now? BW: That they should like our concerts. IE: Should they expect just the Christmas songs or are you going to play non-seasonal hits as well? IE: From your regular catalog? IE: What do you remember most about The Beach Boys’ Christmas Album that you guys recorded back in the 1960s? BW: I just remember I liked the songs. IE: “Little Saint Nick” is one of the Christmas songs from The Beach Boys that everybody always seems to love. What do you like most about “Little Saint Nick”? BW: I like the lyrics. IE: It’s a good one for the young and the young at heart correct? IE: You made a Christmas record on your own. What was that like? BW: Well, I had a lot of fun. IE: Were you going for a similar vision with both records? IE: Last time through you performed Pet Sounds in its entirety. What did you learn about that album during that process? BW: I just like the songs. IE: Which is your favorite? BW: I don’t have a favorite. IE: Now that album is considered a classic as you know or I’m sure you’ve heard. IE: What do you think it is about the album that makes it a classic? IE: Do you play it when you’re not performing it? Do you ever just listen to it? IE: What have people been telling you after they’ve seen the show? BW: They say they liked the performance. IE: And if I’m not mistaken, those were the final full performances? IE: Are you going to miss it? IE: Will you still play some songs from it? IE: Another project that was so enjoyable and moving was Love & Mercy. IE: Have you had a chance to see the movie? BW: Yeah I did. I liked it very much. IE: Did you take a little bit of artistic liberty with the story or was it pretty much straight as it happened? BW: Straight as it happened. IE: What was your opinion of the actors who played you? BW: They were very factual. IE: Do you watch it a lot or did you just watch it the one time? BW: I just watched it the one time. IE: Out of all your many recordings, do you have a favorite? BW: Yeah, I like The Beach Boys Love You. IE: You have some Beach Boys performing with you at this concert. What’s it like working with Al Jardine? BW: Al’s a great singer. IE: What about Blondie Chaplin? IE: You obviously did the reunion with the remainder of the group a few years ago. Do you think you would ever get back together with those guys? IE: Did you enjoy yourself playing all those old songs and getting reunited? IE: What is the difference when you go out on your own versus when you go out with the group? BW: Well, I have more fun on my own. IE: You probably get to do all the songs you want to do right? IE: I also wanted to get your take on your daughters in Wilson Phillips and the Dedicated album they made for you. BW: It was a great album. Very great album. IE: Who are your favorite bands that have called The Beach Boys influences? IE: And last but not least, what do you have coming up next? BW: A rock n’ roll album. IE: Well Brian we look forward to it. BW: Thanks very much. Thanks for the interview. Brian Wilson appears at The Venue At Horseshoe Casino (www.concertmgmt.com and www.ticketmaster.com) on Friday, November 30. -Q&A conducted by Andy Argyrakis.